Pesticide Applicator Training sessions are to be held at Dodge County UW-Extension in February and March. 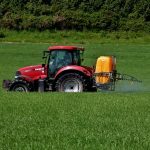 Dodge County pesticide applicators certification that has or will be expiring or first-time applicators, will want to register for one of two training sessions offered. A self-study program in order to certify will be available as well.